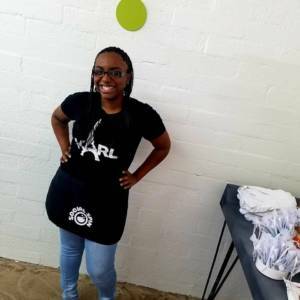 Learn what Social Spin’s Intern Hanan says about turning 21, and transitioning out of Arizona’s foster care system after a decade. I was asked the question, “Do you feel ready to be out of the foster care system after a decade?” I wasn’t prepared for this question because I never had the chance to grasp what it really means. Thinking about my overall time in foster care I was fearful of one thing – instability. I expected to have moved passed that fear by the time I turned 21. Though the reality is that fear is still invested in me. Foster care has provided me countless opportunities to arise from my challenging childhood. It has provided me doors to show resilience and I truly have bounced back from a life full of negative statistics. I’ve been able to create an image in my life that shows I overcame my adversities but the truth of the matter is, I suffer from my childhood trauma each and every day. Opportunity given to overcome any obstacles is amazing but I do feel the system owes it to us state kids to make sure we are ready to take on opportunity and to ensure we’ve dealt with the obstacles we’ve faced as adolescents. You can help by being a mentor, and what I mean by that is guiding us on life skills and decision making. Understand that many foster youth have been our own moms and dads for a long time and sometimes not in the best way. So, we just need support, guidance and understanding as we become productive adults in society.